Senator Bob Corker (R-Tenn.) could be one of the biggest obstacles to passing audit the Fed in the Senate. As a member of the Senate Committee on Banking, Housing, and Urban Affairs, Senator Corker has been an outspoken opponent of the Federal Reserve Transparency Act. The Federal Reserve is not fully audited. The audits that Corker is referring to are very limited in scope and not enough. Auditors at the Government Accountability Office (GAO) are only allowed to look at the Fed’s financial statements—not the Fed’s monetary policy operations. That means that the most important decisions at the Fed that affect the American people are decided behind closed doors. It’s also disingenuous to say that this is really about Congress getting involved in monetary policy. The Federal Reserve Transparency Act would merely eliminate the current audit restrictions placed on the Government Accountability Office (GAO) and require a full and thorough audit of the Federal Reserve. In other words, all supporters of Audit the Fed are asking for is more transparency. It would not give Congress control over monetary policy as Corker has suggested. It would just reveal how the central bank is conducting monetary policy. Something that all people who value accountability should support. This congressional session, we have the best chance of passing a bill to fully audit the Fed. The same bill overwhelmingly passed the House in 2012 and 2014 but then-Senate Majority Leader Harry Reid refused to bring it to a vote in the Senate. Now, we no longer have to worry about Reid. 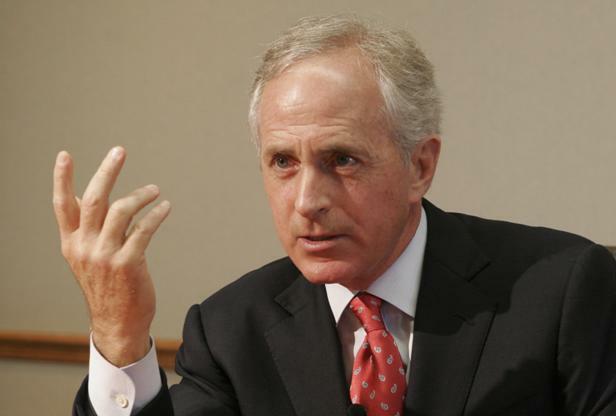 Could the new obstacle be Senator Bob Corker? Watch: Top 6 Reasons to Audit the Fed!